Don't let the Pumpkin in the title put you off. 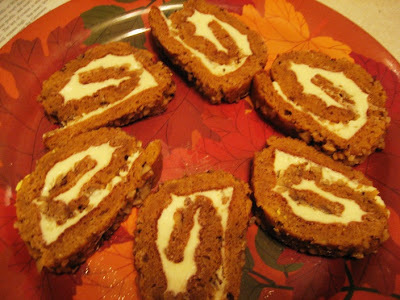 This roll is sure to change your queasiness (if any) associated with pumpkins in dessert - it did for us: One evening, my husband came home with a piece of cake wrapped carefully and wanted me to taste it. I was surprised, because normally the pastries and chocolates he gets to indulge at office rarely make the journey home, so here was an exception to the rule. I must've known that there was some underlying reason behind it all at that very second. As I bit into the cake, it was a moist layer of cake with sweet cream cheese with a biteful of crunchy nuts... I loved it. Then, he went on to tell me that it was made with pumpkin and that I should try making this at home. I couldn't believe it tasted so good since I'm not a fan of pumpkin pie. My mother, who is pretty finicky when it comes to anything but Indian food, also liked this a lot. 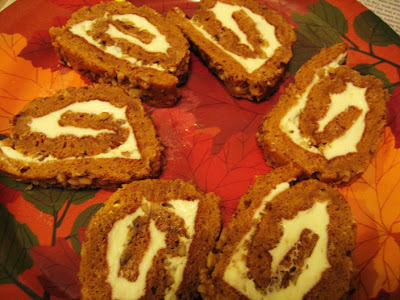 Soon, I got the recipe ... (it was the famous Libby's Pumpkin Roll )and made this... I couldn't believe how easy it was to make and I've made countless rolls since then that friends and family have enjoyed. Keeping up with the Halloween and Autumn theme, here I am with the tasty roll... If you like carrot cake, you won't be disappointed with this. A Kitchen Towel slightly larger than the jelly roll pan. 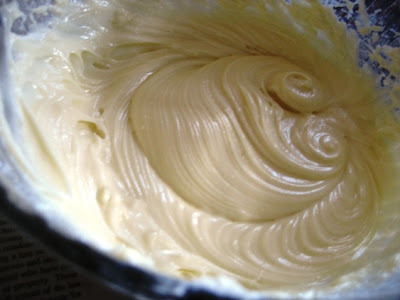 1) First, beat cream cheese, powdered sugar, margarine and vanilla extract in small mixer bowl until smooth. Refrigerate this, while the cake is being made so it firms up. 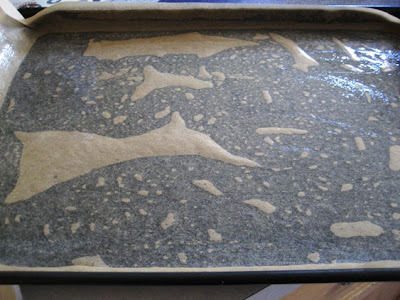 2) Preheat oven to 375 degrees F. Grease 15 x 10-inch jelly-roll pan; line with parchment paper. Grease and flour paper. This is a sticky cake so I spray everything with PAM. 3) Combine flour, baking powder, baking soda, cinnamon, cloves and salt in small bowl. Beat eggs and sugar in large mixer bowl until thick. Beat in pumpkin. 4) Stir in flour mixture. Spread evenly into prepared pan. Sprinkle with nuts. 5) Bake for 13 to 15 minutes or until top of cake springs back when touched. 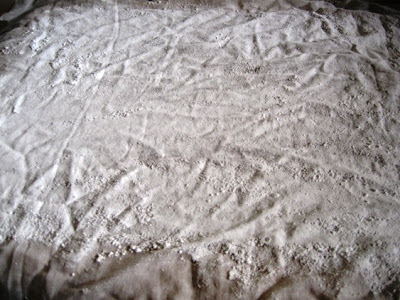 Meanwhile, spread quarter cup powdered sugar on the kitchen towel and keep ready. 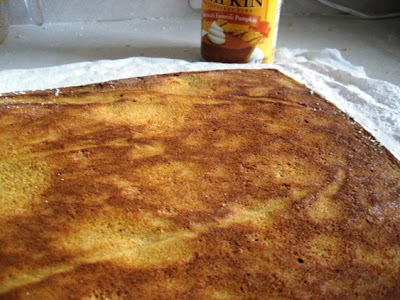 6) Once cake is done, immediately loosen and turn cake onto kitchen towel (spread with powdered sugar). Carefully peel off the parchment paper. 7) Roll up the cake and towel together. Allow to cool. 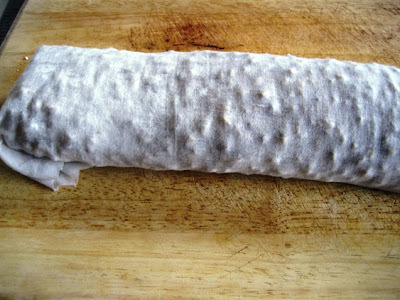 8) When cooled down, carefully unroll cake, remove towel and spread with the refrigerated cream cheese filling. 9) Reroll cake, wrap with plastic wrap and refrigerate overnight (for best results) or atleast a few hours before slicing and digging into it. Laavanya, those are real beauties...I could have them anytime. 1. The first time you roll the cake should the cake be warm ? 2. When you unroll the cake and then reroll with cream cheese in it..the cake does not crumble ...coz it is cold by now right?? 3. Can't i combine step 1 and 2 together..i.e cool the cake spread cream-cheese and then roll it up?? 1) Yes, the cake will be warm - almost hot since it's just out of the oven. 3)Once cool, the cake will lose it's flexibility that's why we have to roll it when hot and kind of get it in that rolled-up mode before filling and re-rolling it. Hope that helps. Let me know if you have any other qns and I sure do hope you try it. I made this in a rush so it doesn't look too perfect, unfortunately. 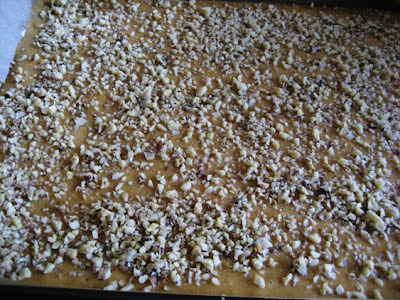 Also, you could sprinkle roasted walnuts after spreading the filling instead of on the cake itself. This is NOT easy, Laavanya:-( but it looks delicious. I have a big pumpkin sitting here, don't know what to do with it. I keep looking at it hoping to get some inspiration. I have been meaning to tring tring you for a couple of days now. Haven't got around to doing it yet. laavanya..thnks for the ans..my doubs are cleared...hope-so!! and please the cake looks amazing!! we have crookneck squash. will try it with that. i love cream cheese (salted) with any cake like this. Great step by step photo with nice information my dear. It’s looks delicious with two color roll. Beautiful recipe Laavanya. Did you use canned pumpkin or fresh one? It looks quite thick. 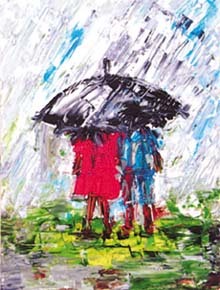 Hi Laavanya, The post was so interesting to read. Can you suggest an alternative to using eggs? That would be wonderful for me. The detailed photography really helps. Looks yummy. that looks like hardwork but it looks absolutely delicious!! Great cake & i am ready for a slice!! Looks superb....Sure your cakes all over at home :-) you guys being sweet lovers!! Looks so good especially with that cream cheese filing. Want to put my finger in that filling and have a taste.Nice step by step pics. Oops...Forgot to add. Just read your comment at Sirisha's that your lil one was sick on halloween. Is she feeling better now? Hope she is feeling all better. laavanya, that looks fab! This is my first time to your blog and you have some delicious recipes. Am sure to come often. Richa, wish I could send you some. Thank you. I love the addn of walnuts too. TBC, it may seem complicated but once you actually make it, you'll see it's not a big deal. It's just like baking a cake, except you roll it when done. I've been pretty preoccupied with my daughter too. Bee, I remember that you have quite a bit of that frozen and stashed away. I love the saltiness that cream cheese lends too. Hope you get a chance to try it. Thank you Kajal and Sagari for your kind words. Suganya, I used the canned pumpkin.. haven't tried using home-made puree yet. 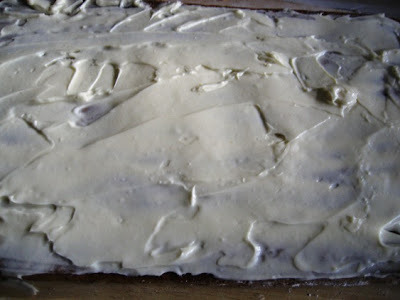 Pritya, since this recipe doesn't call for oil/butter and has only eggs lending the richness.. I'm not sure what could be used to substitute it. http://jugalbandi.info has quite a few alternatives suggested.. please take a look. Am sorry that I can't help much in this regard. That's true Happy Cook. I love the cream cheese filling. It goes so well with the pumpkin cake. Padmaja, Thanks but it really isn't as hard as it seems. Thank you Asha. You have made swirl breads so this should be a breeze. Seema, you are so right. With Arun around, it hardly lasted a few days. Infact he was a bit upset that I liked it so much because that meant less for him.. :) Even Anushka enjoyed it, of course she exercises better portion control. Hey Sia, Thank you so much! 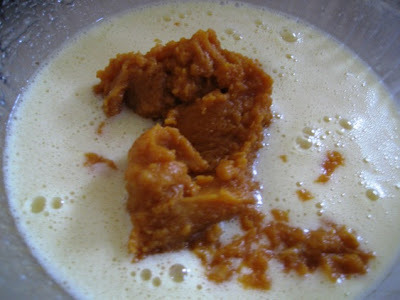 Kribha, my mom used to keep tasting the filling when I made it with her :) Thanks for asking about my daughter.. she still has ear infection, cold and some wheezing. Hopefully she'll be fine soon. 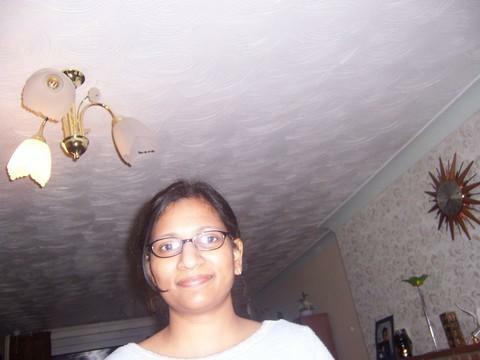 Mandira, welcome! Thank you so much and I do hope you drop by often. Rolls looks so colourful and yummy.Nice combo too pumkin and cream cheese..
How delicious! And I can imagine how moist it is from the pumpkin. Wow the rolls look so delicious!! my little sister makes this and it is delish!!! it also looks perfectly rounded when she does it - like something out of a magazine! Great Recipe and the pics are so helpful!